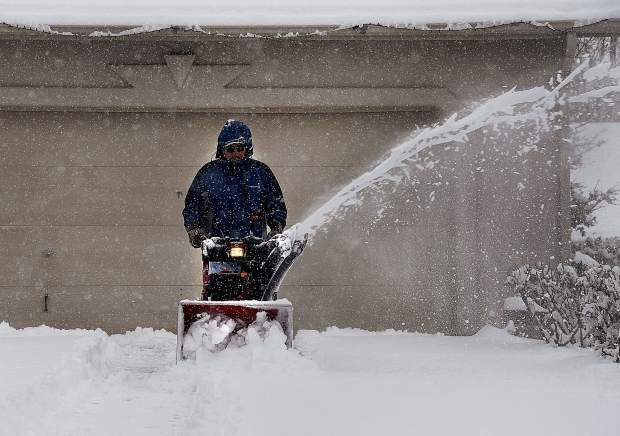 Butch Lontine of Silt helps out a neighbor by clearing her drive way Monday in Eagles View. “I don’t mind the cold, and I like helping out folk,” Lontine said. 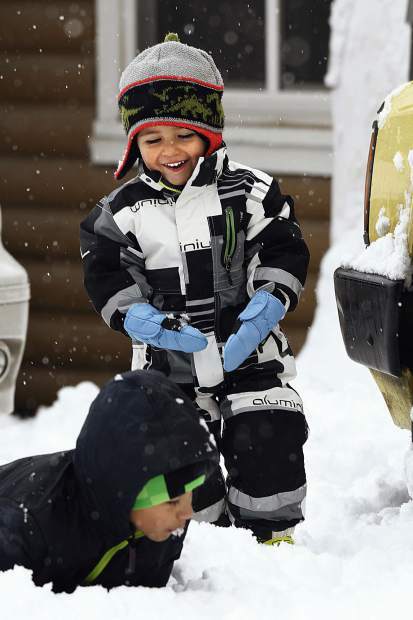 Santiago Sarabia, 2, laughs at his brother Mateo, 10 as he crawls through the snow in their driveway Monday in Silt. 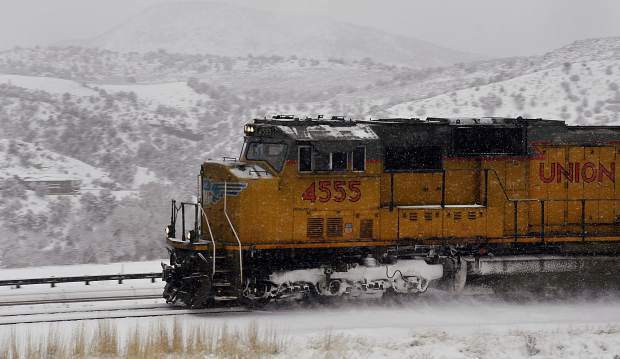 A Union Pacific freight train kicks up snow as it barrels down the tracks along Interstate 70 west of Glenwood Springs Monday. 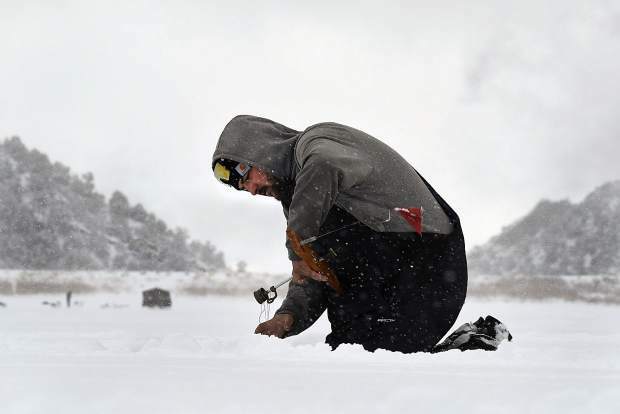 Travis Payne of Junction sets a line hoping to catch a fish or two Monday at Grass Valley Reservior. 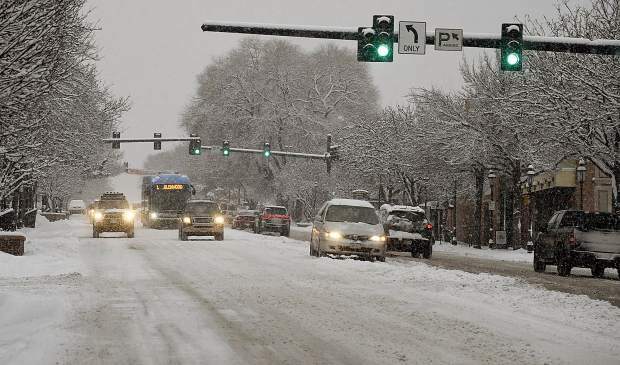 Christmas Eve traffic navigates a snow-covered Grand Avenue Monday in Glenwood Springs. 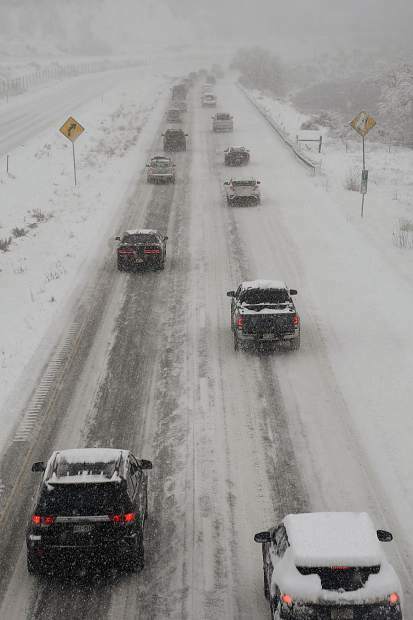 The Monday morning commute was a slow one as traffic heads into South Canyon west of Glenwood Springs. Snow flies as Roger Grove of New Castle clears off around five inches of fresh snow from the sidewalk in front of his resturant Monday. 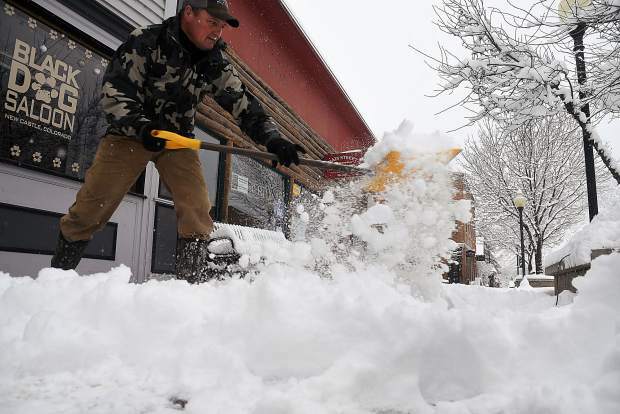 A winter storm dropped more than 5 inches of snow across much of the Western Slope, just in time to bring a white Christmas.